My little girl, Thaara loves paneer a lot. She has been asking for some paneer dish for a long time. So,I thought will make a simple paneer gravy and pulao for lunch. When I opened the refrigerator the packet of mushroom literally screamed "Use me". (It was sitting in fridge for past one week waiting for its turn to come) Mushroom is Thaara's favorite too. 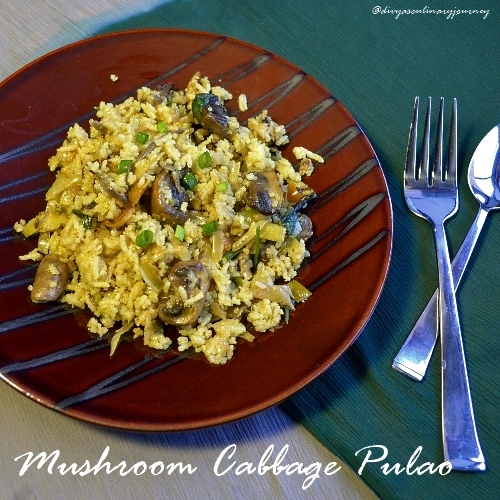 So decided on a pulao with mushroom and for a twist, added some cabbage too. 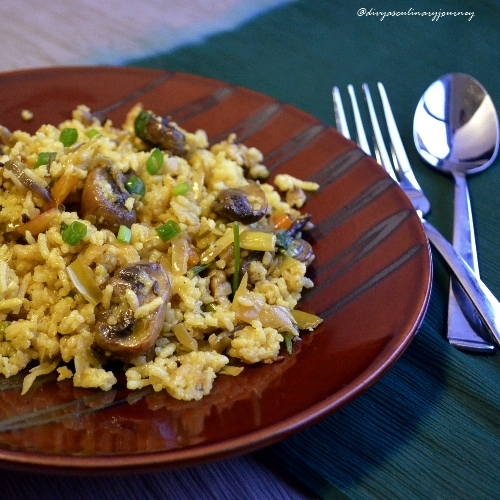 Here is the recipe of "Mushroom cabbage pulao". Heat the oil and ghee and add fennel seeds, cloves, cinnamon and bay leaves, fry for a minute or two, then add onion, green chillies, green onions ,bell pepper & Cashews and saute till the onions turn translucent. Then add turmeric & ginger- garlic paste and cook for a minute. Mix this mixture with rice and garnish with cilantro. Mushroom cabbage pulao is ready. 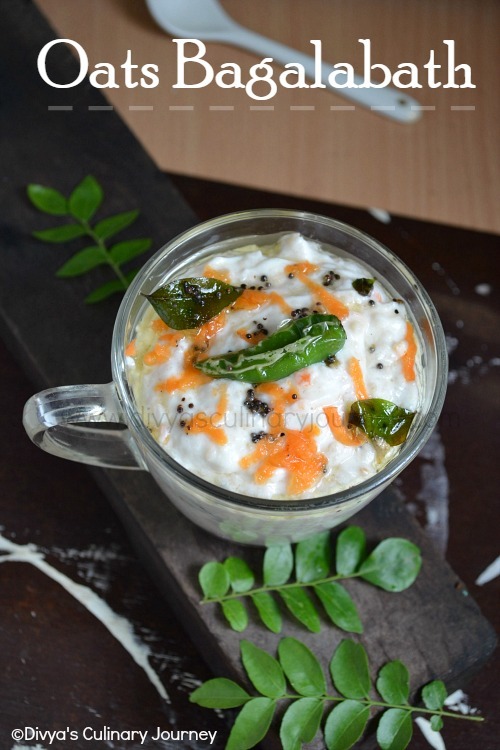 Instead of Basmati rice, you can use ordinary rice (ponni/ sona masoori) too. While cooking the veggies, keep them covered and in low flame, it will get cooked by the steam generated it wouldn't require any water. But if needed sprinkle little water and also make sure that veggies are not over cooked and all the water is evaporated, before mixing with rice. Nice one Dhivya! Congrats on the blog! visit my blog when u find time! Interesting combination, pulao looks good too!